Based out of the UK, Reel Island Casino is both a desktop and mobile casino and, as the name suggests, has a great selection of online slots and casino games. Although the casino is new to the market, its operators have over a decade of experience in the online casino industry. Games are available from multiple providers and the casino is licensed by the UK Gambling Commission. Established in 2015, Reel Island has used the expertise that can be found in their operators to a successful level. They’ve understood the requirements and desires that players look for in an online casino and taken all of them and created this casino. Players can find games provided by leading industry providers, NetEnt, Betsoft and Quickspin amongst others. The casino is unavailable in several countries, including Belgium, Denmark, France, Italy, Spain and the USA. 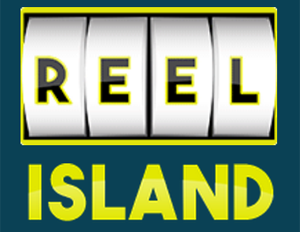 As the casino name suggests, Reel Island are all about slots. Numerous studios provide games for the casino, including Amaya, 1×2 Gaming, NetEnt and Quickspin. Titles include Queen of the Nille II, Dolly Parton, Guns n Roses and Starburst, to name a few. There are multiple versions of Blackjack and Roulette as well as Baccarat, Pai Gow and Heads up Hold ‘em. There are also specialty games offered by the casino; however there is nothing for video poker enthusiasts to get excited about as there is no video poker in the casino. Players can enjoy games delivered by leading software providers, including Amaya, NetEnt, Betsoft and Quickspin. As mentioned above, the casino is available in both desktop and mobile formats. The casino is compatible with most smartphone devices, including IOS, Android and Windows Phone. The games are identical to the ones that can be found on a computer screen, apart from players touch the screen rather than use a mouse. On arrival at the casino and after making a deposit, players can expect to receive 25 bonus spins, which are usable on Starburst, Gonzo’s Quest and Guns n Roses slot games. Players can also expect to receive a 100% first deposit bonus up to €100, and the casino will match all deposits up to this number. Players can also receive an ongoing 10% deposit bonus, based on every time a player makes a deposit, with 10% going to deposits of up to €50 each day. There are also daily promotions for players to partake in. Players can use Visa and MasterCard as well as e-wallets, such as NETELLER to deposit money on the site. The casino ensures that players are safe and protect every page on their website with an SSL encryption, preventing anyone from being able to read the information. Reel Island meets the fairness regulations required by the UK Gambling Commission by regularly auditing their games through GLI and iTech Labs. Reel Island has support staff available 24 hours a day, 7 days a week. The fastest way of getting in contact with them is the live chat. There’s a very basic FAQ section available, with just three questions answered. Players can also email the casino, however the address is slightly hidden and there’s a chance that it can be missed whilst reviewing the “Contact Us” page.